Press Release - ACES/ American Crocodile Education Sanctuary – August 2, 2011 – ACES is a non-profit organization permitted by the Belize Forest Department and dedicated to conserving Belize critical wetland habitats and protected species, specifically crocodilians, through scientific research and education in order to preserve wildlife for future generations. There is dire need of a crocodile refuge in Ambergris Caye for ill, injured and problematic American crocodiles, Crocodylus acutus. The estimate total costs of the completion of this proposed crocodile holding facility is $42,509 BZD. The facility would provide care and treatment for large crocodiles prior to their relocation to the main croc sanctuary in Ladyville, and would house small crocodiles that are ill, injured, or in high development areas. They would be reared without direct human contact and rehabilitated for re-release into undeveloped areas in Ambergris Caye. Currently, there are at least ten crocodiles on the island ranging in size from 10 inches, hatchlings, to over 11-feet that need care. The most severely injured croc in need of a safe habitat in captivity is “Jaws,” who was recently captured from under a DFC resident’s front stairs. This proposed crocodile refuge will not only create employment for local tour guides, but would be a family oriented educational eco-tourist attraction for the island. The environmentally friendly facility will enhance the public’s safety by accommodating problematic crocodiles; supply professional care for ill and injured crocodiles; reduce human-croc conflicts by educating the public about crocodiles and how to safely coexist with them; increase additional professional employment opportunities for locals; and will stimulate the local economy by generating additional revenues. A small visitors’ entrance fee will provide self-sustainability. Any proceeds will be utilized for crocodile rescues, care, conservation efforts and education here on Ambergris Caye. Already presented and approved by Belize’s Minister of Tourism, Manuel Heredia, Jr., in 2010, the facility would humanely display rescued crocodiles for educational purposes only. Each habitat is designed to minimize stress on the animals by limited viewing and giving the crocs ample space to conceal themselves. 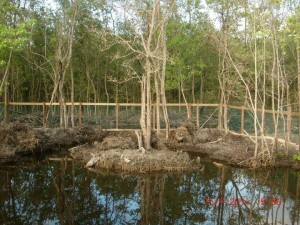 All habitats are designed in accordance with the Global Federation of Animal Shelters and the Belize Forest Department. The proposed location of the facility is approximately three miles north of the Boca Del Rio Bridge on the east side of the road. Owner and Manager of the Green Iguana, Mario Cervoni, is currently building a local fresh produce center, Garden Foods, and has generously offered his lot on the east side for the crocodile refuge. 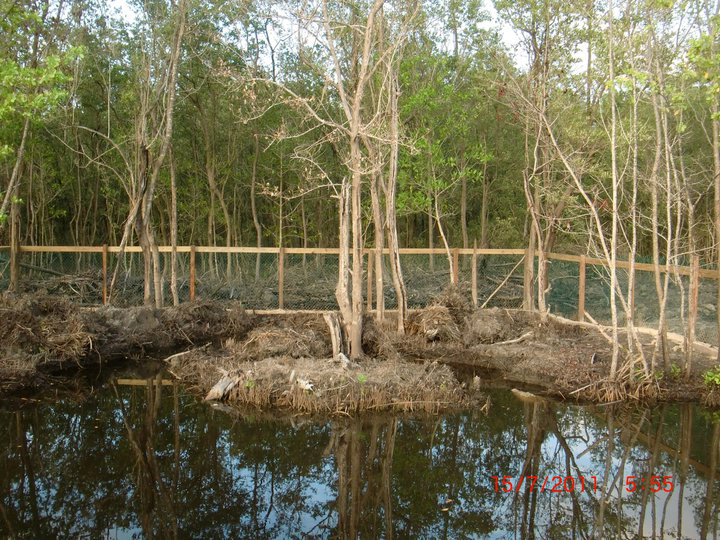 Support from several private donors from the island has already fully funded two large habitats on the mainland to relocate the crocs from ACES' arsoned facility. The facility will also permanently house larger problematic crocs from Ambergris Caye. We do intend to approach the private sector for funding and plan on holding more fund raising events to complete this proposal. The croc issues here are ongoing, and it should be everyone’s responsibility. 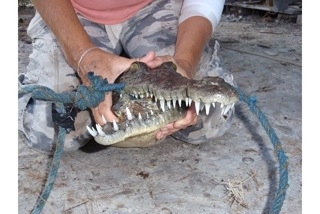 The majority of the croc-human conflicts occur in low income areas such as DFC, so ACES does not charge for relocating problematic crocodiles. This year alone we have rescued and relocated over 24 crocs here on the island; but relocation is not a solution. Over five of these crocs have had to be relocated several times because they do return, or turn up as someone else’s problem. The San Pedro Town Council supports ACES free community service by waiving ACES bridge fees for crocodile rescues, relocations, research and education. No donation is too small. All donations are greatly appreciated and will be utilized 100% towards this proposal. In-kind donations are most welcome and USA tax-deductible donations can be made through ACES 501(c)(3) partner at BEEDFund.com. For more information about ACES please visit our website at www.americancrocodilesanctuary.org. Remember, the crocs’ future, and the safety of others, depend on you.